BP named Helge Lund, a former head of Norway's Statoil, as its next chairman on Thursday, as the British oil major looks to extend a period of rapid growth after recovering from a deadly oil spill in 2010. Lund, who also led BG Group during its acquisition by rival Royal Dutch Shell, will replace Carl-Henric Svanberg, chairman of BP for almost nine years, at the beginning of next year. 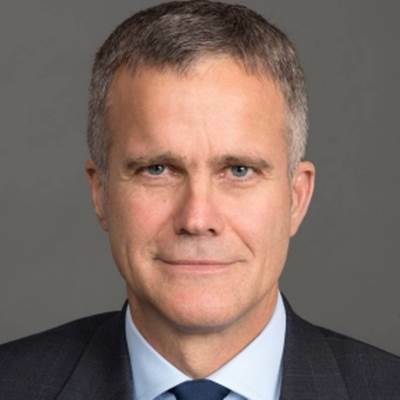 The 55-year-old Lund steered Statoil through its transformation from a state oil company into a leading global player, and is likely to have to navigate BP through the succession of its veteran CEO Bob Dudley later this decade. "It is a good appointment," said Rohan Murphy, analyst at asset manager Allianz Global Investors. "He has already had a great career and coming from Statoil and BG shows his upstream expertise which is still the main driver of earnings at BP so it is key to understand this well." Lund will join BP at a time when the British oil and gas company is growing quickly, having recovered from the deadly Deepwater Horizon spill in the Gulf of Mexico in 2010 that brought the company to the brink of collapse. The Norwegian earned his reputation as a leader when he oversaw Statoil's shift from a domestic-focused state oil firm into an international major over the 10 years to 2014. He was also CEO of BG Group from 2015 to 2016. Just two months into the job, he agreed to a takeover by Shell which corporate filings showed would trigger payouts that could net him more than 32 million pounds ($48 million). Lund will join BP's board as chairman designate and a non-executive director on Sept. 1 and will become chairman on Jan 1, the company said. It did not give salary details. "Our industry is changing faster than ever as the world focuses on meeting the dual challenge of more energy with fewer emissions ... Helge has a track record of leadership in addressing these issues," Svanberg said in a statement. Svanberg, from Sweden, became chairman on Jan. 1, 2010, four months before the worst offshore oil disaster in U.S. history that left 11 workers dead. He played a key role in the aftermath of the disaster that cost the company over $65 billion. Lund, who is also chairman of Denmark's Novo Nordisk AS , will stand down as a director at oilfield service company Schlumberger with immediate effect. He has been a Schlumberger director since June 2016. He started his career as a consultant with McKinsey & Company and a parliamentary adviser for Norway's Conservative party. Lund was also on the board of directors of Nokia from 2011 to 2014.